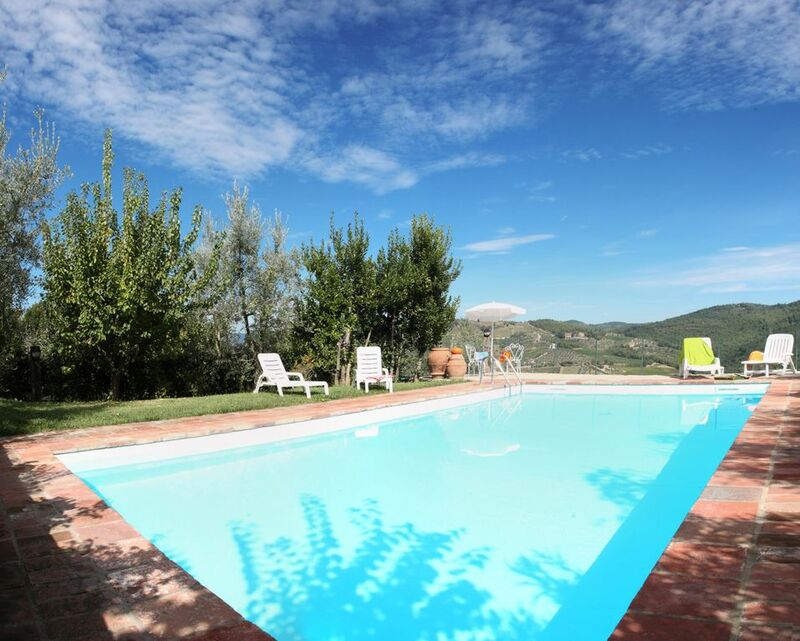 Castagnoli Country Resort can accommodate up to 6 people and consists of three double bedrooms, two bathrooms with shower, a kitchen / living room. The furnishings are presented with care and essential but with an aged style. Equipped with broadband Wifi internet service and shared swimming pool with garden and splendid panoramic view. The Resort offers a splendid immersion in the Chianti hills through vineyards and olive groves, and guests will have free and guaranteed access to the reserved parking, the garden with equipped spaces and the swimming pool to enjoy the fantastic panoramic view of the surrounding hills. In a common area there are vending machines for payment of snacks and hot and cold drinks. Presence of CCTV cameras outside the structure. Playstation for kids and docstation for smartphones. Il costo del riscaldamento va conteggiato in base al consumo effettivo al prezzo di euro 5 per mc. Animali domestici ammessi, è richiesto un supplemento di 20 euro a soggiorno, presenza di set pet (ciotola e materassino).